What do Congressman John Lewis, Dr. Ruth, and Kermit the Frog wish they could tell their younger selves? What about a gay NFL player or the most successful female racecar driver? In Note to Self, CBS This Morning cohost Gayle King shares some of the most memorable letters from the broadcast’s popular segment of the same name. 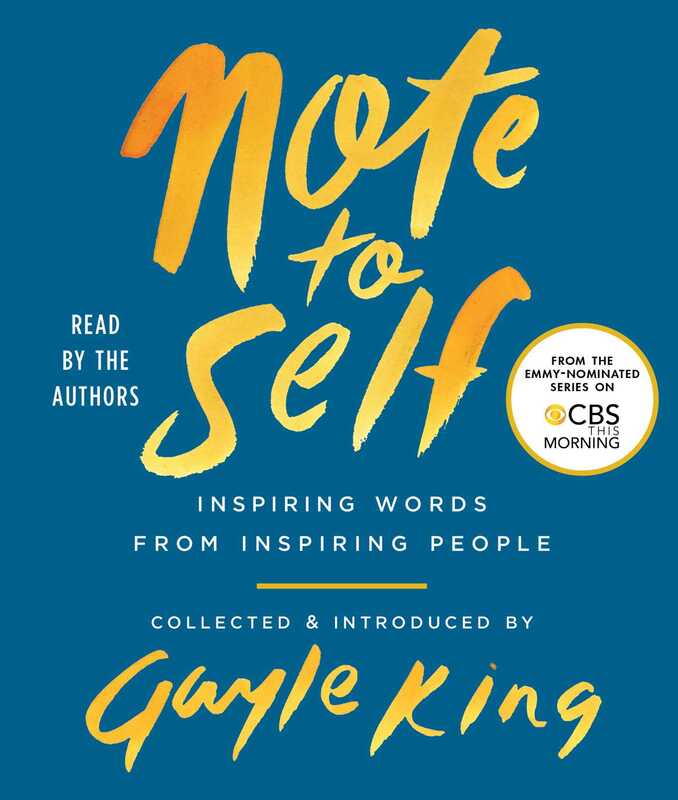 Including essays from such varied figures as Vice President Joe Biden, Oprah, Russell Brand, Kesha, and Maya Angelou—as well as poignant words from a Newtown father and a military widow—Note to Self is a lovely reflection on the joys and challenges of growing up and a perfect gift for any occasion.